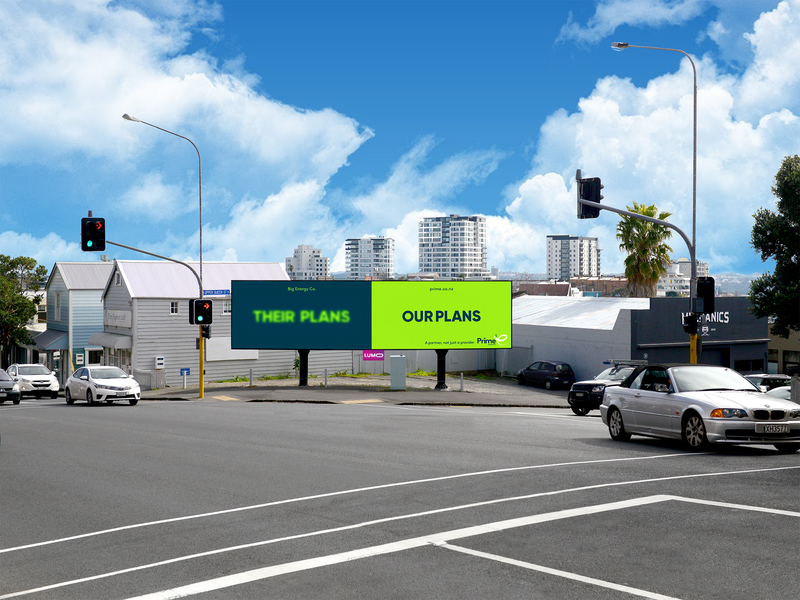 Hello has launched a new outdoor campaign for Prime Energy, which sees the New Zealand electricity retailer tackle the big energy corporations. Business success is more often or not, all about timing, and the time has come for Prime Energy. Prime Energy is one of the country’s fastest growing electricity retailers. Founded in 2010, the boutique business to business electricity and gas retailer, adopted the role of a challenger to rewrite the many wrongs of a market dominated by large corporate players. While many of the country’s largest retailers send profits offshore, the business is 100% locally owned and returns are reinvested to exploring new technology, more effective processes and a significant amount has been dedicated to their carbon zero offering, due to launch in coming months. 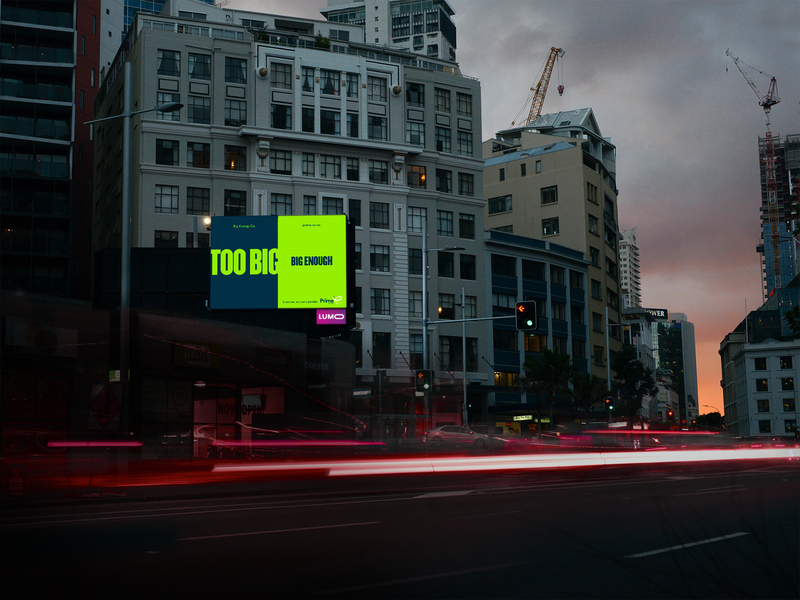 Their grid boasts a range of blue-chip businesses including Britomart Group, Giltrap Group, Ray White, Sals and Turners amongst many others. 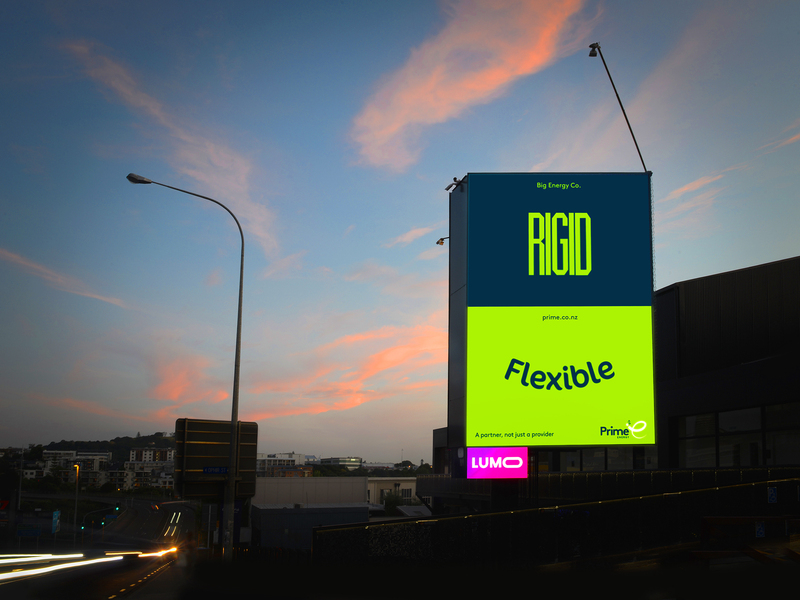 For more information visit www.prime.co.nz.